An alien visitor arrives on Earth to solve our problems – whether we want it or not. The world’s greatest superhero is lost, and only his deadliest enemy can save him. Why did the best cop in the city end his days as a forgotten drunk? And once, in fin-de-siècle Paris, there were three very different girls who grew up to be three very different women with three things in common: they were brilliant, they were beautiful, and they worked for Erik of the Paris Opéra. 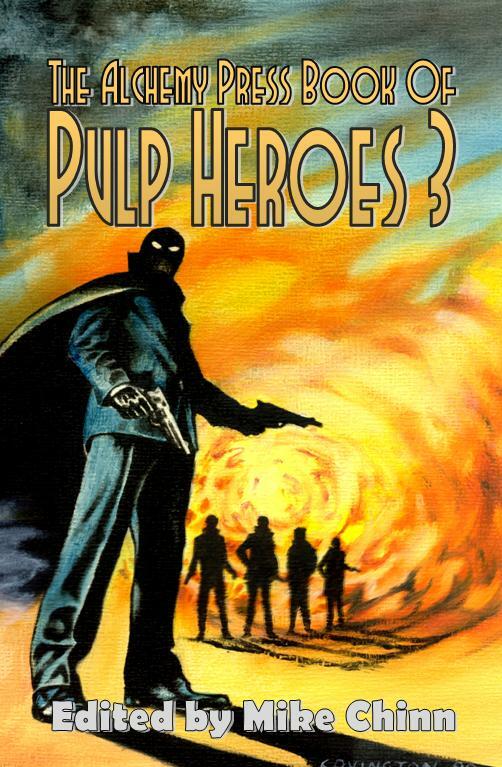 Twelve stories of supermen, cops, Mysterymen, samurai and private eyes from the likes of Kim Newman, Rod Rees, Tony Richards and more … thrilling tales of pure Pulp Adventure. Only £9.99 from Amazon UK / Amazon US and other online stores. An eBook edition is also available.